Read each category below to find the Wisconsin firewood info you've been searching for! Mixed hardwoods is a mix of many different hardwoods that can include Ash, Maple, Locust, Elm, Walnut and more! This is the most commonly bought firewood in the state of Wisconsin, and from Best Burn Firewood. It produces great heat at a very good price. Mixed hardwoods is most commonly used for camping, recreational fires and for people who have an indoor fireplace to heat their house. Our mixed hardwoods is also kiln dried firewood, meaning it will produce 30-40% more heat than the average log from our competitors. If you are looking for standard firewood for general burning, this is the product for you! Mixed hardwoods will produce anywhere from 20-27 million BTU's per cord. 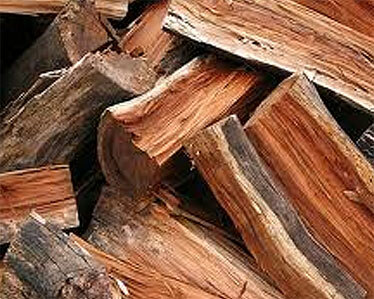 Oak firewood is a popular choice for many people who use firewood for heat. The wood is very dense, heavy and provides some of the highest levels of heat for your home. If you are looking for the "premium" firewood, oak is the choice for you. 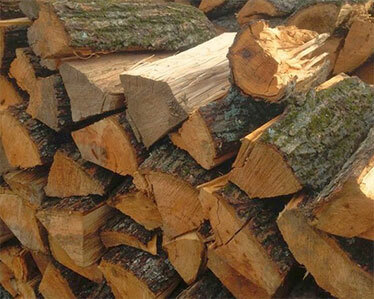 Oak firewood has probably the greatest reputation in Wisconsin, it is by far one of our top sellers. It burns much longer than most other types of firewood because of it's density, meaning with oak firewood you will not have to stock up your fire as often as other firewood types. 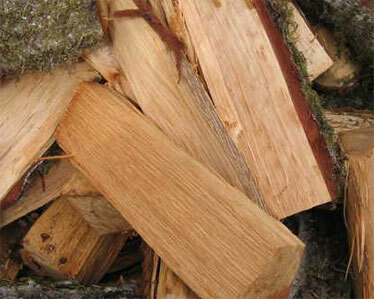 Oak firewood can also be used for cooking, bbq's and smoking meats due to the lovely aroma it gives off. Although oak is not as popular for cooking as firewood's like Hickory or Cherry, it is still considered to be a very thorough firewood for cooking. It mostly depends on what you are cooking and the chef's choice. Is oak the best firewood choice? Depending on who you ask the answer could be yes. The oak is an abundant tree that can supply a lot of great, dense, long burning firewood. If you burn oak firewood you will not be disappointed! Oak firewood (red and white) will give off around 28-29 million BTU's per cord. The black locust tree is a hardwood but it's unique because it grows faster than most softwoods. Even though the tree grows extremely fast, it still produces tough, dense, heavy firewood. 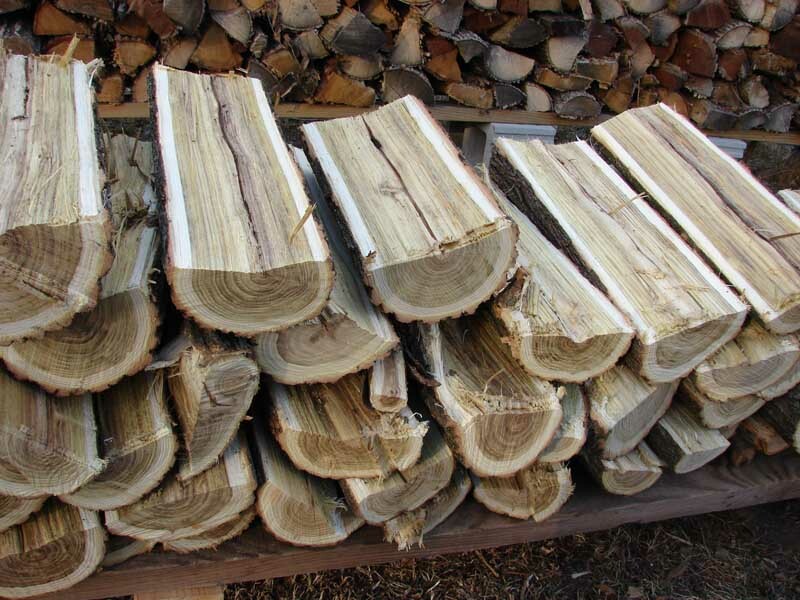 Black locust is an excellent choice for firewood. The hot, long lasting fire it produces makes it a popular choice for anyone who heats with wood. Black locust firewood is not as well known as oak, maple ash and other hardwoods. However, we try and educate our customers on black locust firewood and after they try it out, the home burners are instantly attached to it due to the fact of how hot it burns. Black locust burns very hot. If you use a wood stove and are concerned about the fire getting to hot (which is possible with black locust) mix it in with other wood and don't fill the wood stove completely with locust. 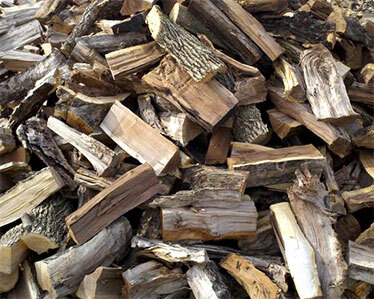 Would we say black locust firewood is comparable to oak firewood? Yes and no, oak still gives off a longer burn time and a better smell, but black locust produces more heat per log. Black locust would also not be advised to be used for cooking any foods because of the flavor and scent it gives off. Black locust will produce around 30 million BTU's per cord. Cherry firewood is a popular choice for many homeowners. Although not as popular as oak, maple and ash, cherry can still provide sufficient heat for your home. Cherry is most commonly used for cooking. Cherry firewood works well with turkey, chicken and pork but is a little to strong for fish. The firewood is known for its pleasant aroma and lovely blue flame when burnt making it a popular choice for a fireplace in a decorative setting or for general classier purposes. Cherry firewood is easy to split and supplies moderate heat when compared to oak, maple or locust which are superior firewood choices for heating. While it may not be the top choice in the firewood rankings for home burning, cherry can supply you with a beautiful, warm fire that also smells terrific. Cherry firewood definitely is in the top rankings though for cooking firewood, local restaurants in the Milwaukee area purchase cherry from us for their cooking obligations. Cherry will produce 20-22 million BTU's per cord. There are a lot of people who agree that hickory firewood is one of the best there is for burning. Hickory is even hotter burning than oak, maple and other popular hardwoods. That is why it is so popular for cooking due to the high amount of heat it gives off. Hickory is also well known for its smoke flavor for smoking, and BBQ's. Hickory is the firewood of choice for a southern barbecue, it gives off a very strong flavor to meats and is used mostly to smoke pork shoulders and ribs. Like cherry, hickory firewood is the go to wood for cooking. It is our highest seller to restaurants around the Milwaukee area. If you are looking for some firewood to cook with, we suggest you use what the pro's use and purchase hickory firewood! Hickory will produce around 29 million BTU's per cord.